"Fulham have continued to ship goals under Parker and they have now conceded at least twice in their last 13 league games." Fulham have joined Huddersfield as confirmed dropouts from the Premier League and are on a miserable losing run of nine matches. Their last five defeats have been under interim manager Scott Parker, who has had it tough with every opponent coming from the top ten in the table, including Everton here. Parker has no new injury worries but may ring the changes in his efforts to find a winning formula, or even one that gets a point on the board. Everton have found a burst of late-season form with consecutive wins against Chelsea, West Ham and Arsenal and are back in the hunt to be 'best of the rest' in seventh place, which could secure a European place. They currently lie ninth and are involved in a tight race with Leicester, Wolves and Watford. 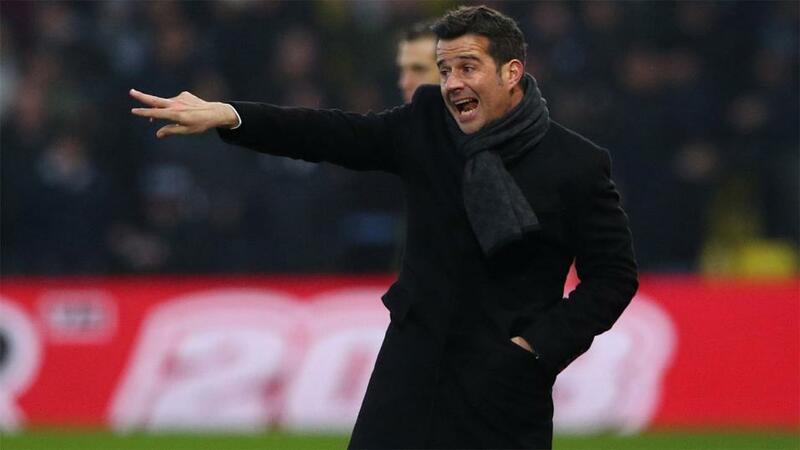 Marco Silva looked in serious danger of the sack a couple of months ago but he has belied his reputation as a defensively suspect coach by overseeing five clean sheets in the past six games. The defensive improvement has come even with Yerry Mina missing from the last two games with a hamstring injury, which is likely to rule him out again. Michael Keane missed last weekend's 1-0 win over Arsenal, with his replacement Phil Jagielka scoring the winning goal, but looks set to return alongside Kurt Zouma in central defence. Fulham have continued to ship goals under Parker and they have now conceded at least twice in their last 13 league games, going back to their last clean sheet in a 1-0 win over bottom club Huddersfield on December 29. The way they fell apart in their last match, going behind against Watford midway through the second half and then quickly conceding two more goals to lose 4-1, suggests there is little fight left in them. Everton's form under Silva reads well apart from their winter blues from mid-December, which saw them lose eight out of 11 league games and exit the FA Cup against Championship side Millwall. Their record was pretty good either side of that poor run and their form has held up against the bottom nine (the teams that have been most involved in the relegation battle) with a record of W9 D3 L3. That points to a good chance of an away win but for better odds the selection is Everton off -1 on the Asian handicap at [2.5]. That is a winner if the visitors claim victory by two or more goals, which could well happen given Fulham's leaky defence, with money back if they win by a single goal. There is some appeal in backing an Everton win with over 2.5 goals but a negative is that only five of their nine wins against teams in the bottom nine have been achieved in that fashion. Fulham's high concession rate has led to 10 of their 13 games going over 2.5 goals in their long stretch without a clean sheet, but another factor that could keep the score low is Everton's recent success at keeping clean sheets. Nine of the 11 clean sheets for Silva's side have resulted in under 2.5 goals, although one of the exceptions was their 3-0 home win in the reverse fixture in September. Already relegated Fulham have conceded at least twice in each of their last 13 Premier League games, losing 12 of them (W1). The only teams to have conceded 2+ goals in more consecutive top-flight matches are Manchester United (16 games from April-October 1930) and Newcastle United (14 games from May-October 1977). Over 2.5 goals is [1.78] and over 3.5 goals is [2.96].